Premium Pils is a brilliant pale ale, created by Theresianer to celebrate the classic Pilsner taste: the dry impact which in the space of a sip is united with the freshness of malt and hops so typical of the Czech Republic's most famous beer. 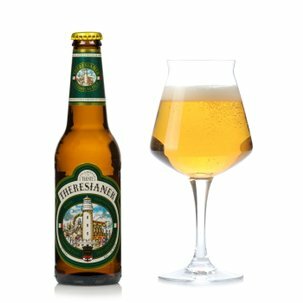 On pouring, the bright straw-yellow of Premium Pils shines its invitation to friendship and fun: Theresianer suggests you drink it with fried fish, savoury pies or cured meats. A shining pale ale, with a particularly dry taste which finishes mixed with the freshness of malt and hops, typical of the Pilsner tradition.